Full-service, state-of-the-art imaging and diagnostics center and multi-specialty physician clinic. 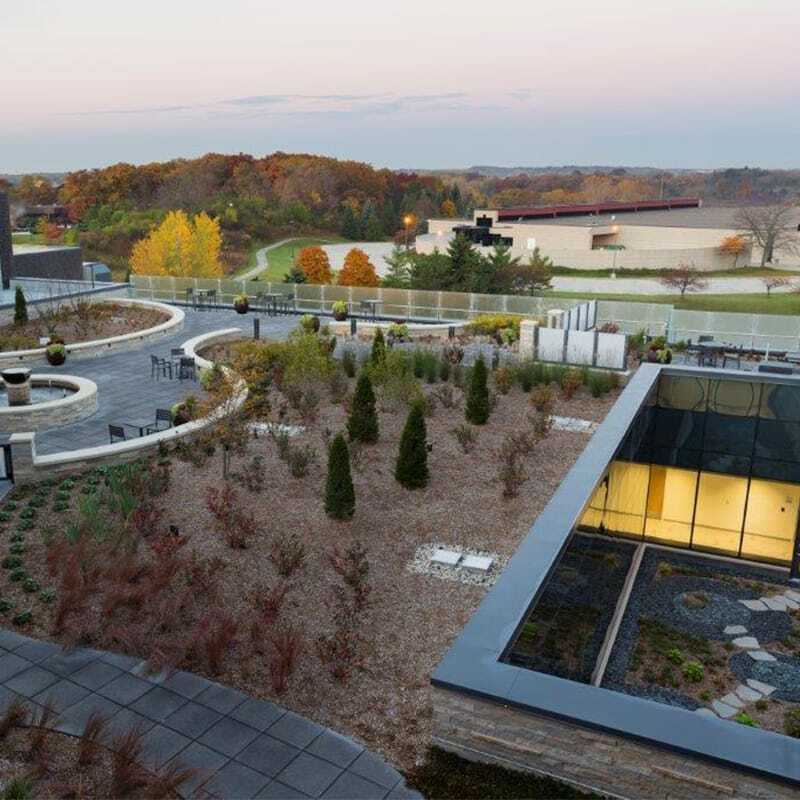 Client Name: ProHealth Care, Inc.
ProHealth Care’s mission to continuously improve the health of the community resulted in building a new outpatient cancer center and ambulatory campus to service patients from surrounding communities. The new campus sits on 13.5 acres and combines all services a patient needs into a single location. 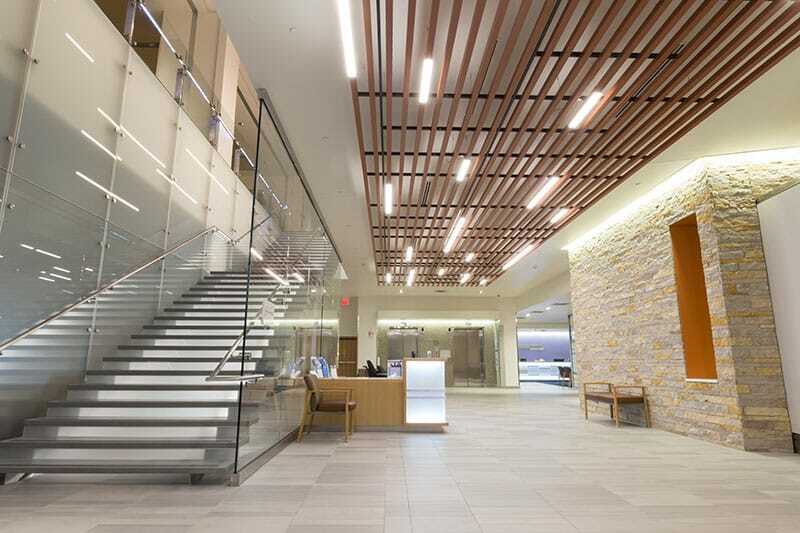 The design creates a warm and welcoming environment, filled with daylight to instill confidence and hope to support the healing process. 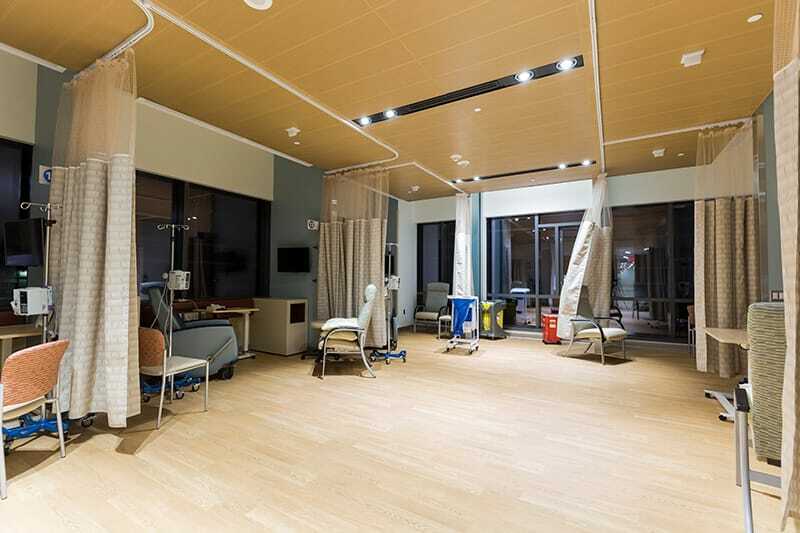 Space for 28 Infusion Patients – Every patient has views of nature and choices about the treatment setting, ranging from small groups of patients to total privacy. 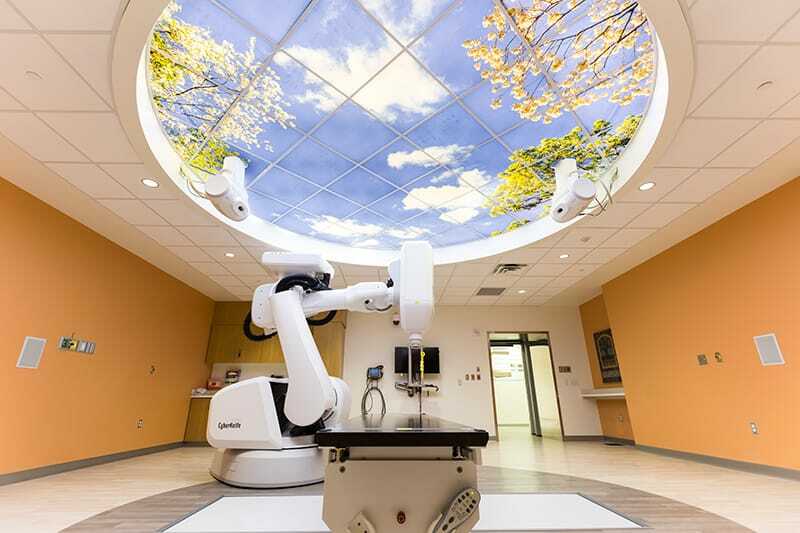 Radiation Therapy Services – Two linear accelerators for external beam radiation treatment, a CyberKnife Robotic radiosurgery system, and high-dose radiation therapy. Advanced Imaging and Diagnostics Services – MRI, CT, PET/CT, nuclear medicine, interventional radiology, radiology/fluoroscopy and ultrasound, as well as breast imaging services. Cancer Rehabilitation Space – Physical therapy services with indoor and outdoor exercise areas. Education Center – Classrooms and meeting space to support wellness and community programs. Multi-specialty Clinic – Housing more than 80 exam and treatment rooms and an urgent care center that is open to seven days a week.